Why would I need self storage in Aloha, OR? There are a variety of reasons why you might need self-storage in Aloha, OR. How much is a storage unit in Aloha, OR? The cheapest storage unit in Aloha, OR is $43.00 per month. What size storage units do you have available in Aloha, OR? In Aloha, OR we have sizes that range from 5'x5' to 10'x30' to suit your storage needs. How much is it for a 5'x5' storage unit in Aloha, OR? The cheapest 5'x5' storage unit in Aloha, OR is $43.00 per month. About 25 minutes from Portland, the midsize community of Aloha is an ever-growing and evolving place that more people are calling home every day. Although it's considered an unincorporated area of Oregon's Washington County, it's far from a nondescript rural town. Aloha has been experiencing extensive development in recent years, and it was named one of the top "Cities on the Rise in Oregon." The community of Aloha has a unique name that may seem more fitting for a tropical locale, and local sources disagree about the name's origin. Some historians believe that the town was named Aloha by railroad employee Robert Caples, with no apparent reasoning behind the name choice. However, in 1983, a local named Joseph H. Buck said that the town's name had actually been chosen by Julius Buck, who was his uncle and the community's first postmaster. According to his family story, Buck had named the community "Aloah" in honor of a lakeside resort in Wisconsin. When the post office transposed the last two letters in processing, the name ended up being Aloha. Whatever the origin may be, pronunciation of the town's name is not the same as that of the well-known Hawaiian greeting. Instead, it's pronounced "Ah-LO-wa." 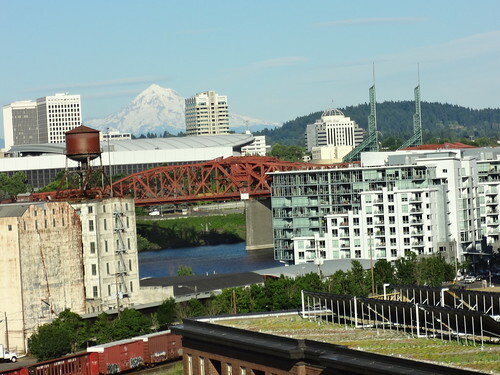 One of the biggest benefits of living in Aloha is the short distance to the major city of Portland. In less than a half-hour, you can access the larger city's vast array of shopping, dining and entertainment options. If you're going to need a job after you move to Aloha, you'll benefit significantly from the close proximity of Portland. A daily commute between Aloha and Portland is very doable and opens up a large, thriving market of job prospects. Aloha itself also has its own community amenities, including small retail developments, a local library and places of worship. The nearby Beaverton School District is responsible for the schools in Aloha as well as those in neighboring communities that welcome students from Aloha. You can also find a few private, mostly faith-based campuses in the area. Utilities: Portland General Electric, NW Natural and the Tualatin Valley Water District provide major utilities to Aloha. Garbage and Recycling: Aloha Garbage provides trash and recycling collection services for residential areas in Aloha. Transportation: The TriMet transit system serves the greater Portland area and may make a daily commute to the city easier. Like many communities in the Portland metro area, Aloha has a fairly high cost of living. Its median home price is well above the national average but is on par with prices in Portland. Because it's a fairly small community, Aloha doesn't typically have hundreds of homes for sale to choose from. However, considering its size, it actually has a good variety of home styles and sizes. Our lowest priced units in Aloha, OR average $43.00 per month. 67 people have reserved units in Aloha, OR in the past 30 days. There is 1 location within Aloha, OR's city limits.